Jackie has been fully submerged in the dental field for the past 22 years and absolutely loves it. In 1991 she received her dental radiology certification and Qualified Dental Assisting License from the Medix School located in Towson Maryland. Her skills surpass dental assisting and is well versed in all areas of the dental office. As clinical manager, she excels in providing quality patient care with a gentle touch and sense of humor. 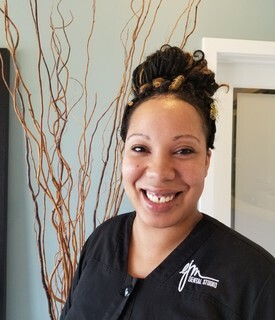 Jackie is very excited to work at EJM Dental Studio and is looking forward to helping you achieve your dental needs, creating a healthier you. 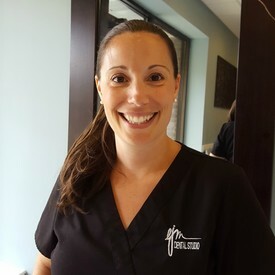 Kim has been a team member of EJM Dental Studio ever since summer of 2016. She graduated with prestigious honors from BCC and comes with the highest recommendations from her clinical supervisors. She received her Associates of Science from Anne Arundel Community College in 1999 and received her Associates of Applied Science in Dental Hygiene in 2016. She pursued and received her license to administer Local Anesthesia. 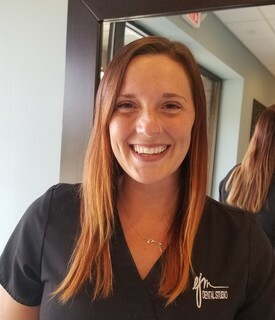 The continual pursuant of excellence, her passion for caring for each patient, and drive to create a relaxed and enjoyable visit for you is only a part of how amazing she is. 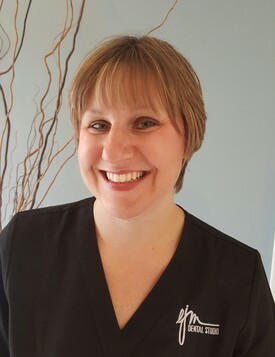 Kim’s friendly, caring and energetic personality will put you at ease during your dental appointments with her. Kim is a mom to 3 fantastic kids who take up the majority of her free time, you can also find her at her community beach or pool as she loves to enjoy the outdoors! Melissa is EXCITED to be part of a growing team here at EJM dental studio. 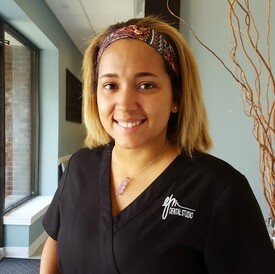 Born and raised on Maryland’s eastern shore, Melissa’s love of dentistry started right out of high school when she became a dental assistant. After 8 years she decided to take her career to the next level and went on to become a dental hygienist. She received her Dental Hygiene degree in 2016 and is also licensed to administer Local Anesthesia. Her fun and passionate approach to dental care will keep you laughing and educated at the same time. She is passionate about providing our patients with the highest quality of care, staying up to date on the newest research and technologies dentistry has to offer. In her spare time she loves spending time with her dog Grace, at the gym, and traveling! Kayce Atkinson is NEW to the dental field but has been immersed in healthcare for the past 4 years. Her passion to advocate for each and every patient is evident. She graduated from Hammond High School in 2005. She started her journey in the workforce as “relationship consultant” and also expanded her interests and completed Cosmetology school. Her persistence for excellent patient care has been her foundation as she learns and grows in the dental field. As a scheduling coordinator, she is eager to help with your dental visits, maximize your insurance, and make each visit fun! Kayce loves to cook, travel, enjoys spending time with her family. She, along with her husband Devon and son Nyko, are “foodies” and LOVE the water. She does root for the Pittsburgh Steelers. Please don’t hesitate to contact her at smile@ejmdentalstudio.com or text her at 410-220-2339. Tyrai Mason has been IMMERSED in the dental field since May 2016. She has a background in healthcare as she is a Certified Nursing Assistant and still on the track to higher education...maybe even a dentist?! She graduated from Winters Mill High School in 2013. She is First Aid and CPR certified and received her CNA license through University of MD in 2013. Her persistence for excellence and drive for accuracy is evident from the moment you meet her. As a financial coordinator, she is eager to help with you maximize your insurance, answer any financial questions, and make each visit fun!